Today’s EDM Challenge was a collaborative event. I was sitting around with Jack, my niece Morgan (who just got her Master’s degree in disability studies from Ohio State last month), and her friend Julie who was visiting from Philadelphia. 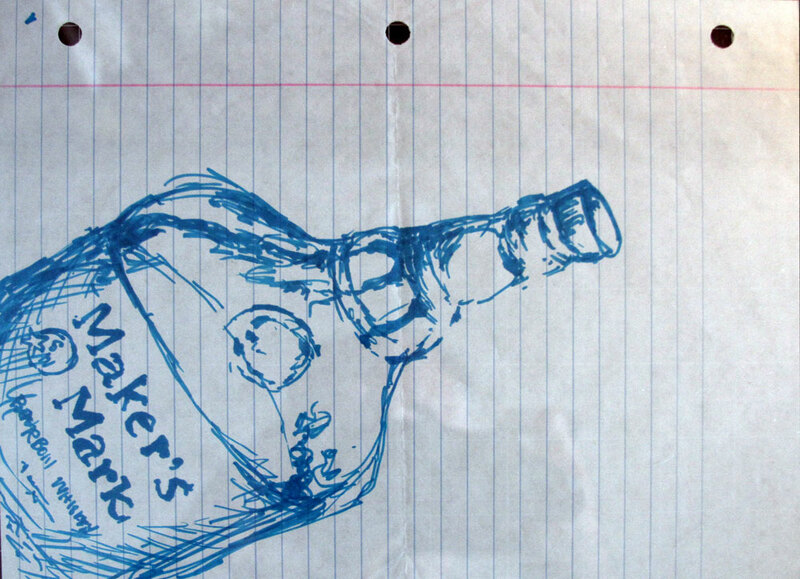 I insisted that they join me in drawing a bottle of bourbon from my brother-in-law’s liquor cabinet. 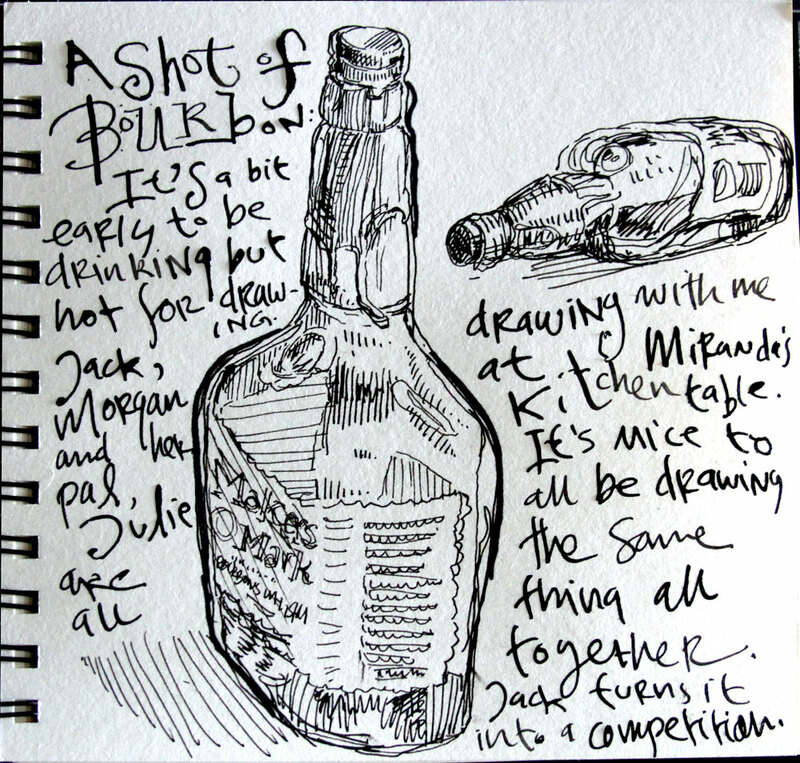 While I brandished my Lamy Safari, the young ‘uns selected from a jam jar full of Sharpies. The girls grumbled a fair amount about their results but I think they’re terrific. It’s so interesting to see how different eye and fingers record the world around us. 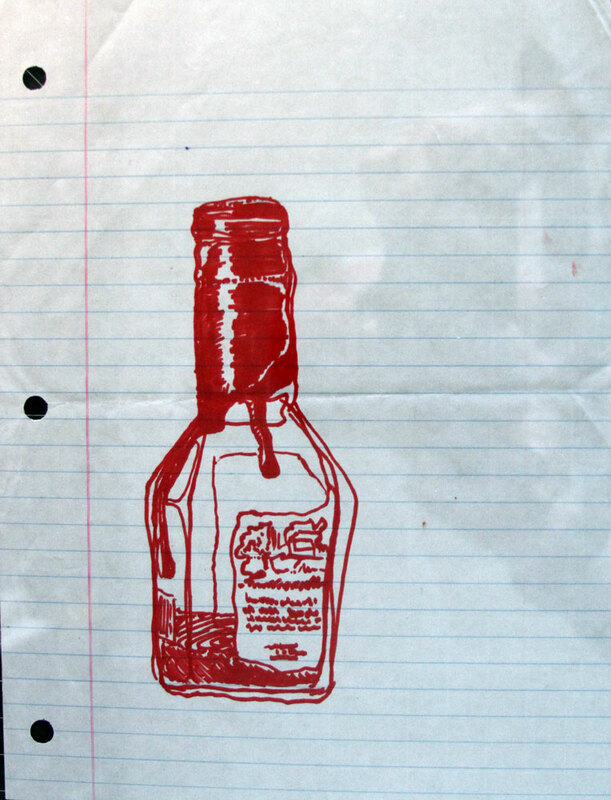 When we were done, we drained the bottle — which made things look even more different. I like them all! I love seeing the different results from different eyes and hands. I think that they area all very good. I like them all !! I find in time many talented sketchers (over the internet and in books, magazines, etc) but your drawings are as cool as your way of writing!! !Thanks for all those posts! It puts couples of smiles on my face every day. A drawing party! Now that’s a fun idea. Invite some semi interested folks over, gift them with one of your books and pens or markers along with a sketchbook and have a sketching game! Who knows ? That might be a great way to start a local group. Yes, it seriously is fun to draw with others. I agree with Dee … I’m getting ready to go draw with others and have some serious fun! Bravo to all the artists involved here…fun results! Great sketches all ’round! Oh, yes, they are young and want perfection, when perfect is really about getting it down and allowing it to live on its own! I love the freshness of the youngin’ s sketches! so cool. just calms me to think about drawing with family & friends. Hi Danny! Thank you for posting your EDM challenges. I have all of your books – even the Kindle versions of Peanut and School for Evil – all great fun! I know it is the artist not the supplies that makes the art, but I was wondering what sketchbook are you using for your challenges. Thank you in advance for your reply! Thankyou for the Challenge. I’m trying it too as a way of getting back into doing some observational drawing. Interestingly the some of letters in your drawing seem 3D. what fun! 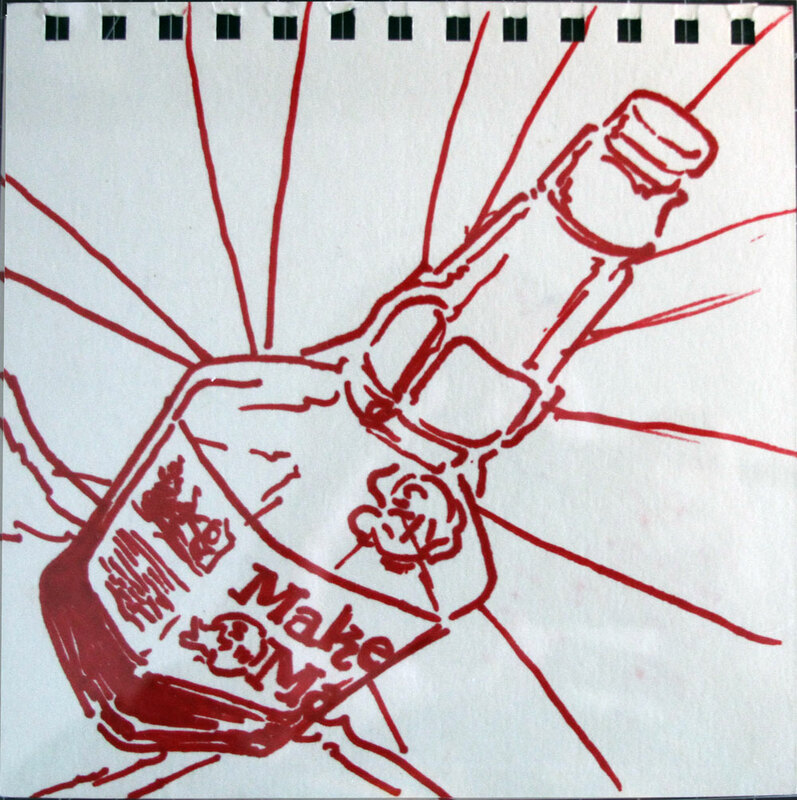 drawing and drinking. two of my faves. Liked them all but especially Morgan’s take on the wax seal! !